Her name is Chandha.M. Walke. Born on 26th June, 1954 in Kolapur, Maharashtra, she moved to Chennai when she was a teenager. She is an ardent animal lover and her life’s passion and mission has been about animals and making their lives better. 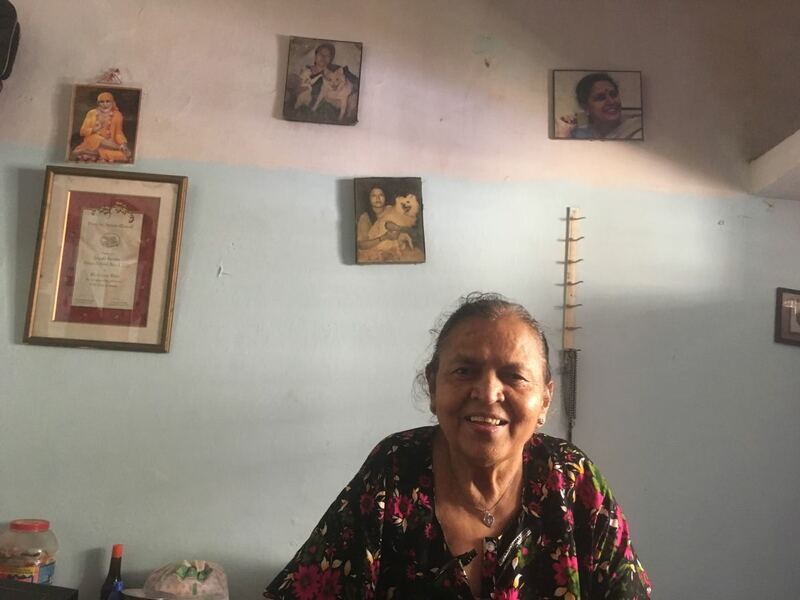 She was working as a hindi teacher and forever a volunteer in the Blue cross since her 20s. 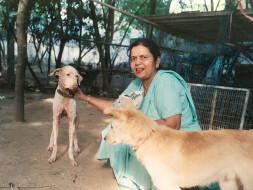 She has occupied several posts in “People for animals” (a national welfare organization for animals) shelter in Chennai. She is still in charge for public relations and attends phone calls for the organization. Anyone calling to the organization even today asking any help regarding animals would be able to talk to her. 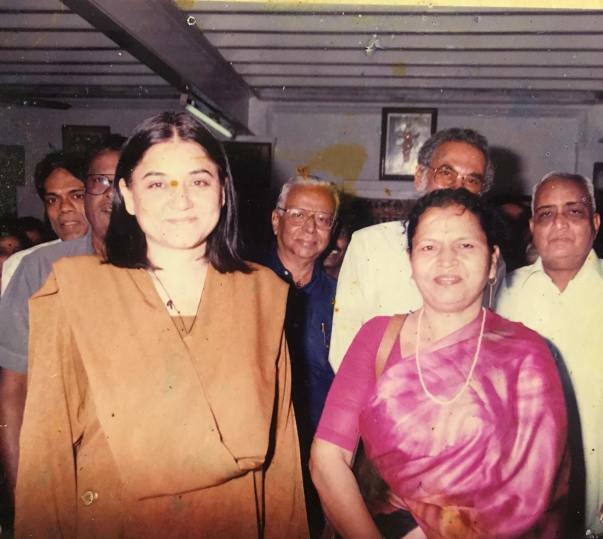 She was working closely with Smt. Menaka Sanjay Gandhi and was involved in the Animal censorship certification. 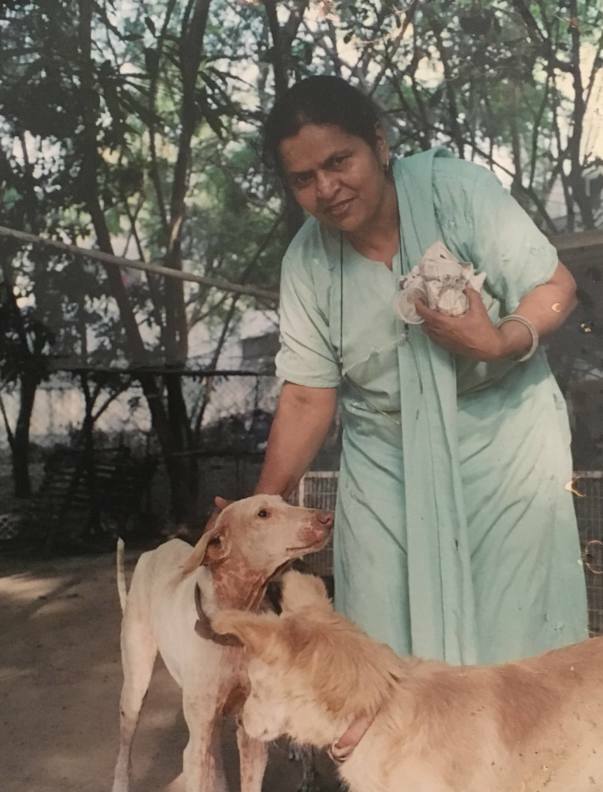 She dedicated her life for animals and decided to remain unmarried for her cause. 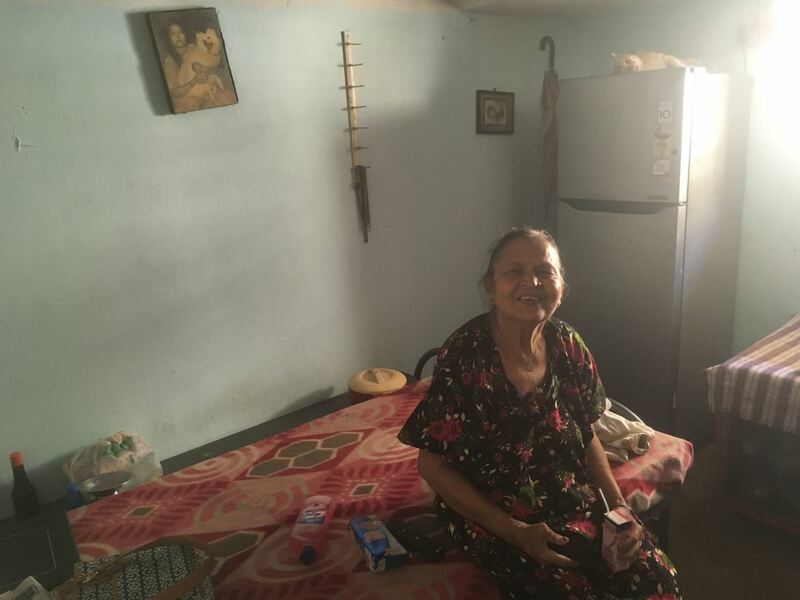 Now, she lives in a worn-down house and takes care of all the strays around her house in Royapettah. She receives a meager pension and a negligible salary and leads a life in poverty trying everyday to make her ends meet. 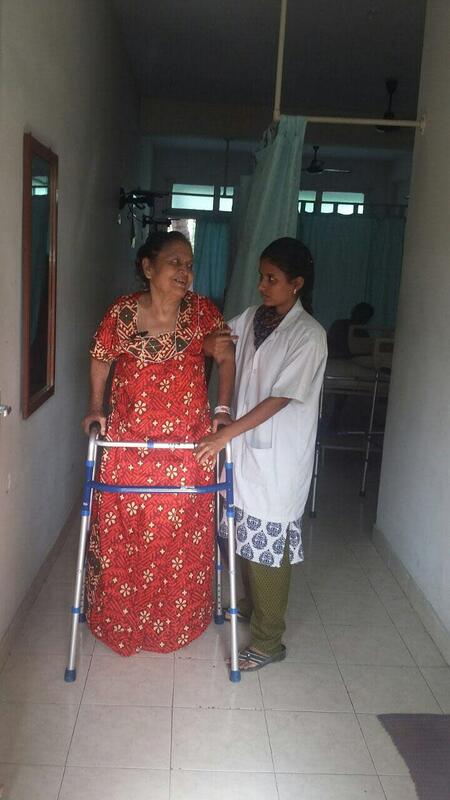 She is crippled with osteoarthritis of both her knees and winces in pain every time she takes a step. She has to get both of her knees replaced for her walk again. 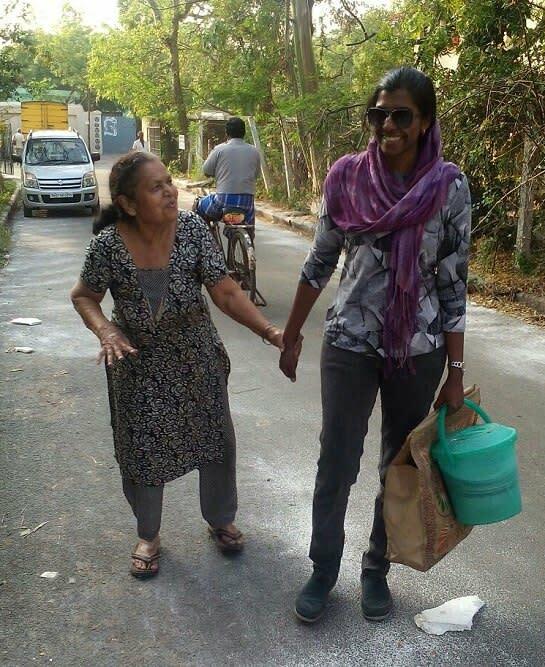 Even with her damaged knees she limps around and feeds the strays around her house in Lyods colony, Royapettah. If you would pass that area, in the evening any given day, you can see old lady leaning on one leg giving water and food to umpteen stray dogs and puppies. She has been doing this for years and just needs her knees to be able to walk again to help herself and the community. Dr. George Thomas at St. Isabela hospital is going to operate on her this September, 1st week. He would be doing a Total Knee Replacement of one knee followed by the other. The total cost of her surgery, hospital expenses, drugs and physiotherapy would come to 4 lakhs INR(2 lakhs each knee). I am trying to raise money for her and if anyone of you is interested kindly contribute and spread the word. Thank you! So after the successful surgery and the physiotherapy, Chanda is back at her home with her cats and dog surrounding her. 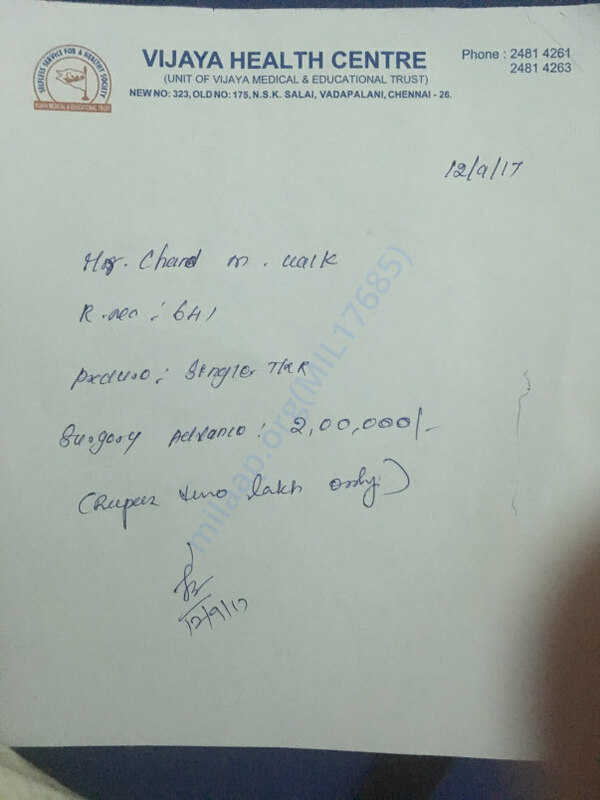 There is a pending amount of 46k at the Vijaya hospital but Dr.Rajasekhara Reddy, the orthopedic surgeon who operated her and the hospital were kind enough to let her get discharged now and pay at a later date. So I am keeping the campaign open until Friday which is the last date for paying the pending amount and I am stopping the campaign after then. Thank you all once again! I am sure whatever amount you have spared to help some old lady walk again and the good will you have shown will definitely come back to you....in some way or the other! Hello All.. So you all know that the surgery went good and she has been receiving physiotherapy. The picture above was taken as she is trying to walk with her brand new knees. Of the total 3 lakhs needed for her surgery we have paid only 2 lakhs and we are still in need of funds. The doctor says that she can be discharged on Saturday.. So hoping that she ll be able to climb up and down the steps before that! Here is an update on Chandha. Currently, on the day 4 of the postoperative period, she is still complaining of pain but is able to walk with a support. She is going to stay in the hospital for another 5-6 days and we are still in need of financial support. 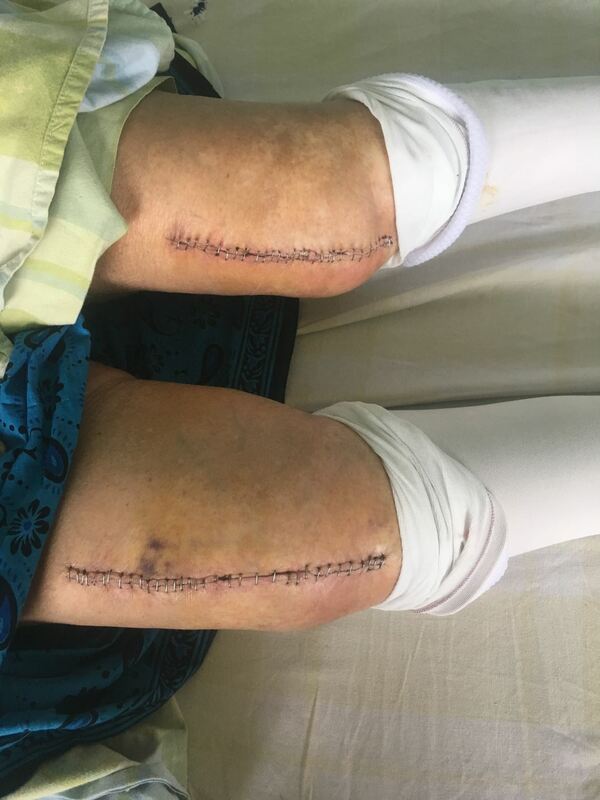 Here is a pic of her healing knees. I am waiting for the day when she is able to walk well and without pain. Keep your good will and support going until then! May God help you heal and get well at the earliest.